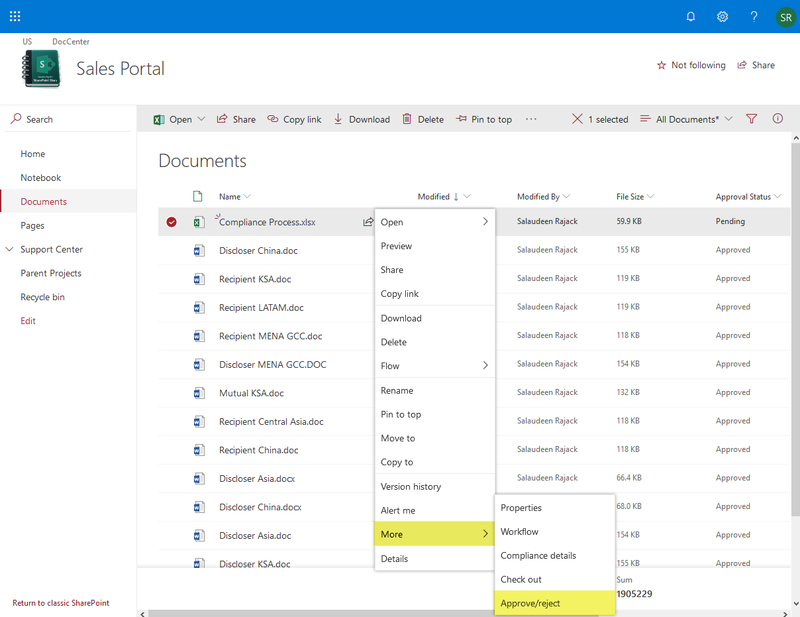 Home Client Side Object Model (CSOM) PowerShell SharePoint Online SharePoint Online: How to Approve Multiple Documents using PowerShell? How to Approve Multiple Items in SharePoint Online? $ApprovalComments= "Approved by the Admin"
Write-Host -f Green "File Approved Successfully!" Similarly, to reject a file, use: $File.Deny($Comment). We can use the PowerShell script to approve multiple items in SharePoint Online. Lets approve all pending documents in a document library. $Query.ViewXml = "<View Scope = 'RecursiveAll'><Query><Where><Eq><FieldRef Name='_ModerationStatus' /><Value Type='ModStat'>2</Value></Eq></Where></Query></View>"